Essential English offers Homestay Accommodation. Our homestay offers comfortable, fully furnished accommodation with native English speakers so you are fully immersed in an English speaking environment 24/7, helping you improve your listening skills and spoken English in a remarkably short time. Our safe, reliable transport service will transport you from your hotel/home/office to our school and safely back again. This service is mainly available within the Sandton and surrounding areas. Airport Transfers and local trips also available. 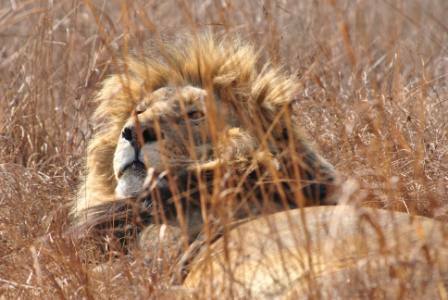 Come with us on an exciting Safari to the Kruger National Park. You'll be transported in a comfortable coach from Johannesburg where you'll be taken on a scenic drive to the Kruger Park. You will stay in luxury accommodation where you'll enjoy delicious food and true African hospitality. Our experienced game rangers will take you on a thrilling adventure in an open air safari vehicle into the African bush where you will track the Big 5! Combine your safari with an English language course and you'll be sure to have an unforgettable South African holiday! We have 3, 4 or 5 day tours that are guaranteed to be exciting, wild and wonderful! Need some information on applying for a study permit for South Africa? Please ask us and we'll do our best to to assist. We offer a multilingual translation service by skilled, qualified translators. Translations are available in French-English, English-French, Portuguese, Italian, German and a host of other languages. Our services include sworn translations and translations of legal, technical, financial, medical, mining, geological, academic and educational texts. Translations for companies: we can translate your marketing material to appeal to your targetted audience. Translations are available within 24 hours, depending on length and complexity of texts. For urgent translations, we offer a same-day speed service!